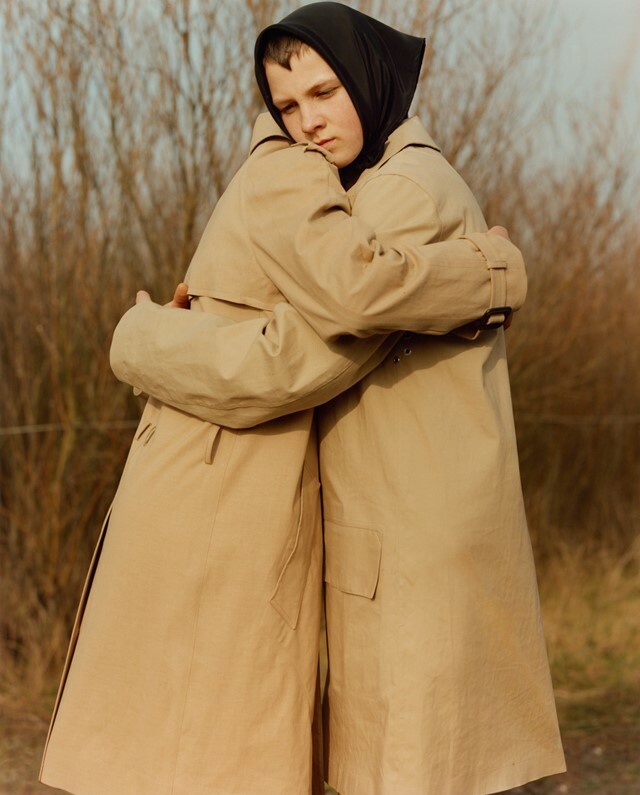 Jamie Hawkesworth is one of the most visionary fashion photographers working today. Except he’s not really a fashion photographer. His work sits somewhere in the hazy realm between fashion, documentary and portraiture. In a few short years, the Dazed contributor has gone from documenting mock crime scenes as part of his forensics science and criminal investigation degree to shooting a fashion campaign for Miu Miu aboard the Trans-Siberian Express and now, to his first solo exhibition A Short, Pleasurable Journey at Red Hook Labs in Brooklyn, New York. Throughout his still relatively nascent career, Hawkesworth has maintained complete integrity and an unwavering commitment to his craft. “I think he genuinely approaches all his subjects in the same way,” says his former tutor, Adam Murray. “There’s no cynicism or preconceptions, it’s almost like a deliberate naivety.” At the photographer’s new exhibition, which opens today, this is clear to see. The show sees 51 images put on display that reflect the breadth and consistency of his work, and the profundity of its beauty. We spoke to Hawkesworth about his journey photographing belly dancers, Britain and one very special bus stop. 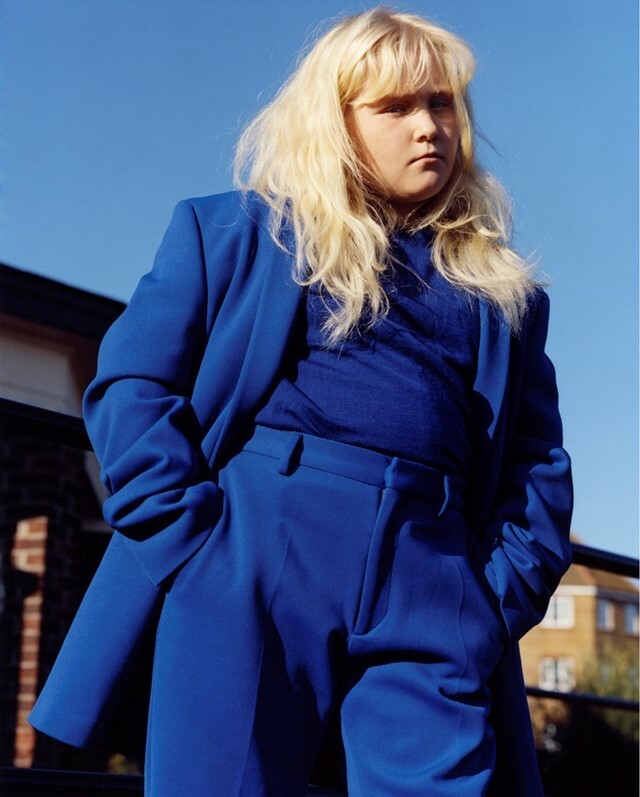 Jamie Hawkesworth: I went to university to do a forensic science and criminal investigation course. The course itself was cut up in two, like half practical and half law-based, but I was immediately attracted to the practical side and that’s how I started doing photography. Basically, they’d have a whole mock crime scene street, where you would go in and dust for fingerprints and do footprint mounts and that kind of thing, and then you would document what you found using the camera. So I started taking pictures then. I failed my law side of the course and I didn’t really know what to do. A friend of mine was studying photography and I spoke to him and said I had this bubbling interest and he said, ‘Why don’t you switch to photography?’ So I did, and that’s kind of how I started. What was it about photography that you enjoyed? Jamie Hawkesworth: I liked how I could use my hands and my head at the same time. I can’t quite explain it, but that was what initially got me hooked. What were you photographing first? Jamie Hawkesworth: I had this medium format camera and went around Preston, which was where I was studying, photographing everything. Then I spent time in the studio playing around with flash, photographing belly dancers. I was exploring everything. How did that become a career? Jamie Hawkesworth: I was studying photography and I fell in love with it – it was all I thought about. So it was just a natural progression to do it for a living. I tried to assist a lot of documentary photographers but they didn’t really use assistants, so I started to assist fashion photographers. Was there a moment that you look back on and see as your break? Jamie Hawkesworth: I think even at uni, when I was like exploring everything, I was taking more portraits and a lot of them were of teenagers. It was a really pivotal moment when I realised that focusing on photographing youth was a great way to make my work feel relevant. I suppose, in my own world, that was a break in a way. You’ve continued to photograph youth – are there any young people that, looking back, stand out to you? Jamie Hawkesworth: One of the first fashion shoots I did was with Benjamin Bruno. We went to Newcastle with a bag of clothes and photographed kids as we found them. There was one girl, she had a flowery dress on and we put a blue Calvin Klein suit on her, and it was the first time I realised that you can take someone really interesting, and elevate them even more. So she was a really important character. 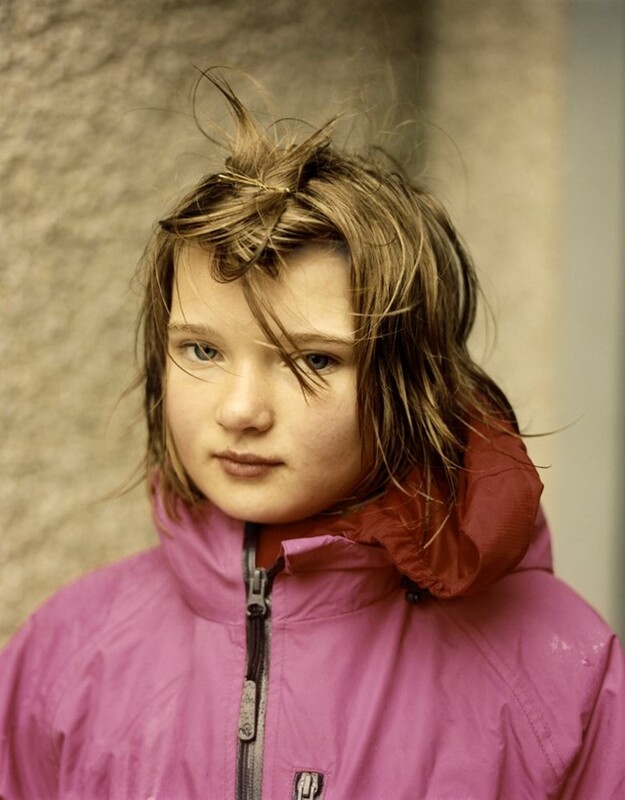 And then also, once I was like, ‘I’m going to go as far north as possible in Britain,’ so I went to the Shetland Islands and I found this kid there who looked amazing. She was wearing this pink tracksuit top and had this amazing haircut. That picture, which is in the show, always reminds me to go and explore, and that you never know what you’re going to get. Every time I look at it, it reminds me that you could go to the bloody moon and back, and as long as you get one picture, it’s worth it. And sometimes, you don’t even have to get one picture, just the sense of going there makes it worth it. Obviously, you go to exotic locations, but you do a lot of photography in Britain as well. Do you love it here? What does it represent for you? Jamie Hawkesworth: I do, but it’s more that it’s on my doorstep. I can get on a train and go somewhere new in an hour. It’s about trying not to comment on anything. I’m not trying to summarise what Britain feels like today. It’s more just my own personal enjoyment of going somewhere new. You seem to have always gone on journeys. Is that where the title for the exhibition came from? Jamie Hawkesworth: Yeah, that’s essentially where it came from. I was trying to articulate what I had been doing for the last five years. The exhibition features 51 images. Why did you choose that number? Jamie Hawkesworth: Well, me and Jimmy Moffat (of Red Hook Labs) just naturally did an edit over a period of time, we just naturally came to 51, so that’s what’s in the show. I’m always conscious of trying to... I don’t want to overdress anything. It also features your short film ‘Preston Bus Station’. Can you tell me about that? Jamie Hawkesworth: I thought it was important to go back and spend some time there. I wanted to do a tribute to the bus station, so I did this short film. It’s half documentary, half made-up. I found this kid who was playing his own songs in the bus station, so I filmed him, but then I also brought in a band. It was about this idea that the bus station was going to not exist, so I wanted to do this tribute, like a celebration of the space in a way. Why do you love that place so much? Jamie Hawkesworth: It was just an amazing place that had a lot of people moving through it and that provided a really amazing opportunity to take portraits all the time. You’d go from a black kid with an amazing haircut to an old lady or a group of girls... It was just a great place. So that was when I realised its potential. How do you reconcile your love for documentary photography and fashion photography? Do you like fashion? Jamie Hawkesworth: I’ve realised that fashion is an opportunity to take someone and elevate them. The process of trying to take someone who is a little bit more familiar and trying to inject something new and authentic is what’s interesting. I think fashion as an exercise in exploring people is really great. Finally, what advice would you give to aspiring photographers? Jamie Hawkesworth: Get out there and take photographs. It’s a very basic thing to say, but you can’t really dress it up. You have to take photographs and realise that the more you do it, the more you understand what it is you’re seeing and the way you interpret it.